The tiger was getting old. He was a fierce killer when he was young, clawing and tearing animals in the jungle, roaming around like a king with his extended clan. He had made a pact with the other carnivores in the jungle. An army of hyenas was raised and was let loose on the hapless rabbits, deer, buffaloes, zebras and giraffes. Hyenas were usually mindless; they followed order for the pieces of flesh thrown at them at the end of the day. Soon the vultures too entered the pact. They protected the tiger and his clan by gouging out the eyes of deer and buffaloes in case they tried to save themselves and their young ones from the jaws of the tiger clan. There were other carnivores like the snakes and eagles that were always appreciative of the deeds of the clan in a bid to be in the gang’s good books. The tiger had marked out his jungle and did not appreciate it when animals from the adjoining jungles entered his territory. The hyenas patrolled the jungle and made sure that animals from the nearby areas do not enter the domain of the great Tiger. They would wound any deer that would enter the territory for food. They would chase a heard of giraffes from a nearby jungle who had come to eat leaves from their favorite trees. “But you don’t even eat leaves!” The giraffes would protest. The hyenas would bite them and tear off their flesh making the giraffes run for their lives. The animals living in the jungle were terrified. They hailed the tiger when his procession passed through the jungle and when he gave speeches confessing his love for all the animals living in his jungle. He would mark anyone who opposed him as a traitor. He would let loose the hyenas on all his enemies and make the vultures protect his army. Over time, animals gave in to subjugation and went with the flow. No one raised their voices. Even the elephants stopped protesting after a while. 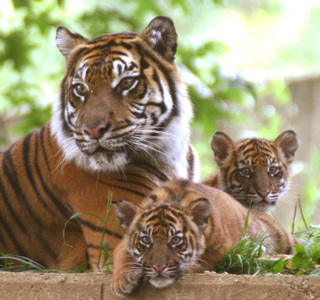 As the tiger grew old, two of his cubs who have now grown into ferocious carnivores ruled in his stead. They were equally ruthless and carried the legacy of their father. The jungle was restless, terrified and clutched helplessly in the paws of the clan and their followers. And then the old Tiger died. The whole jungle was closed. The hyenas spread out and did not allow anyone in the fields to eat grass. The birds were shooed away by the vultures into their nests. The rabbits ran to their burrows. The giraffes kept their necks low. As the burial progression of the old Tiger passed through the jungle, a rabbit whispered her dissent on the way the whole jungle was stopped from functioning because of the death of the Tiger. Another rabbit nodded. All hell broke loose. The vultures were upon both of them. They picked the shivering rabbits in their claws and took them to their nest atop the hill and shoved them in a small cave. The terrified rabbits were left there the whole night. The hyenas attacked the family of one of the rabbits and destroyed their burrow. Both the rabbits were made to apologize in front of the whole jungle by the vultures and hyenas to appease their masters. But then something happened which neither the Tiger clan nor their followers had anticipated. As the rabbits finished their apology speech, one of the zebra trotted towards them and quietly stood next to them. Then a deer did the same. Before the vultures and hyenas could realize what was happening, a wave of animals started walking towards the two rabbits raising dust with their hooves and stood next to them. As the cloud of dust settled, the Tiger clan and their followers stood alone, gawking at the whole jungle standing on the other side. They bared their teeth, hurled abuses, stomped their feet but the animals stood their ground. The rabbits heaved a sigh of relief and shed a tear of gratitude. It did not end there. The Tiger clan, hyenas and the vultures did their best to make the life of the animals miserable for standing against them but deep in their heart, they knew that they were fighting a losing battle. The old Tiger was dead and the animals were angry. Very angry. I need not say more..
And here another rabbit joins in.. I think if we look at it positively, the cops were very confident of getting away with it. They were not ready for the kind of uproar caused by the media and the online community. Hundreds of people shared the girl’s post after she was arrested. So, yes, people stood by them which is a very good outcome. I wish the girls would not have buckled and counter attacked but that is easier said than done. I am curious about the outcome of the investigation. Hmmm….still the position of the rabbit in the food chain doesn’t chain. Do read my reply to Latha. Yes, the rabbit remains where he was in the food chain but he has a voice now. He can disagree. I loved how this story ended, it’s victory of good over evil and Satyamev Jayate. Thanks IHM. I hope the investigations are positive and the cops are suspended. Then they will think twice before doing something that stupid. Since tigers don’t hurt just to bully, it’s possible that the Tiger in this story was not really a tiger but only pretending to be one. Anyone can be a tiger with a gang of bullies. Awesome! At first I didn’t get it, but then it began to make sense. Totally loved the way the story ended. Thanks Suthewriter. I am glad you liked the story. wow. wow. i am amazed. i loved how the story ended too! Really good analogy.. a fitting one but reality is little grim Amit, don’t you think? I think things are a little positive because of the turn of events. The cops have some explaination to do about the acts under which the girls were booked. Also, it was disgusting the way they prompty lodged an FIR to arrest the girls (Police usually do not like lodging an FIR because it is more work) but took three days to arrest 10 out of the 2000 men who vandalised the clinic. It shows where their loyalties lie. Also, do read my reply to Latha. oh loved this one..unfortunately I am the animal who didnt stand up…I was too scared to post my post after what I read about the two girls…yep the coward in me eh? You can write the post now. Believe me, the internet is full of such posts now. That is the beauty of internet. Try suppressing anything and everyone will be sharing and tweeting it in a second. I just wish that we all stand by each other. Yes cowardice is always the easier way out. But we need to remember that today it is someone else, tomorrow it can be me. Besides, this is a cause worth standing for. Needless to say, a lovely post. Yes, I agree. The way our IT laws are, anyone can take offence on anything you write and you cannot do a thing about it. Thanks for liking the post Rachna. Since this is just an innocuous tale of rabbits and tigers and I find no co-relatable connections to anything in real life, I can just say this – in spite of how loud the hyenas may cackle, the fact would remain that the majority of animals in the jungle would have been pleased to see such a vile tyrant of a creature die. And when you think of it, I’m sure the majority of animals across other jungles not even related to this jungle all feel the same way. Too bad this story is not related to anything in real life and I didnt read anybodys comments above my own. Of course, it is no where related to reality. The people in the comments section were just discussing random recent events. Wait! Did you find any similarities with real life? Haha! Nice joke! Yes, the animals in adjoining jungles were happy but the clan still ruled. Although the clan had tasted rebellion, they were not ready to give up so easily. I wish the real story would end this way, too. I especially loved the end. Did something happen recently with which you can draw parallels? It’s purely unintentional if that is the case. Anyways, I wish that the real story ends with the hyenas in the jail and the vultures being suspended for their deed. It is not surprising to see people getting scared of such incidents. Everyone is afraid for their children and family. The problem is with our political and judicial system. The fact that such a violent party was allowed to thrive in Mumbai for so many years and carry out numerous acts of hooliganism is a testimony of how the leaders of our country cannot see beyond money and their own good. It is not a democracy but a joke if people get arrested for posting something on their personal timelines on Facebook. I second Roshan’s comment above. Such a lovely jungle tale 😀 It can even go into the textbooks as a moral story! But yes, unless the animals stand together, the bullies will rule and the bullies are the biggest cowards when their bluff is called. I think the problem also lies in how people are brainwashed to believe that the path chosen by the bullies is the correct one. Hi Amit, I’ve been following your writings for a while now, commenting here for the first time. A big salute and “claps” for this superb post. Wish those tigers and their hyenas and vultures realize their time is up and get some sense into their empty brains. Kudos! Keep writing such brilliant stuff. May I share this with your permission? Hi Liju. Welcome here and Thankyou for liking the post. Yes, you can share this. I don’t know what to say. This is sheer brilliance. Take a bow Amit! Absolutely brilliant. How do I reblog this? If you are logged into wordpress, there will be a button at the top grey bar which says ‘Reblog’. Amit, that post deserves a standing ovation. Even with the tiger dead, only one rabbit had the courage to dissent and another rabbit to support her publicly. But yes later other animals stood by her, that surely is a good outcome. Yes, that was a heart-warming outcome, wasn’t it? 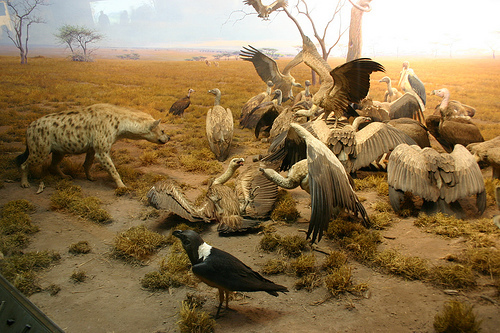 The way the whole online community pounced on the vultures and hyenas was a welcome change. An absolutely brilliant post from one of my favourite bloggers and a must read. Yes, I am very sure that these girls were not the only Indians who disagreed with all the sho-sha. But they had to make an example of someone. So shameless people thought of ruining their lives. I wonder if all charges against the girls will be dropped, whether the court will honourably acquit them, compensate the losses of her uncle’s practice and issue a sharp rap on the collective knuckles of the police. Now since the opposition is all gung-ho about squeezing brownie points out of the issue and since the online community is frothing, I am sure a few of the things you have mentioned might come true. How political?..errr… polite I wanted to say.. Was it a tiger on the first place? Haha! I think I have lashed the clan enough. And I do not understand Tamil, so maybe you can translate? when i read that news, i found it difficult to believe. this is shocking. where his goons were hiding when there was a terrorist attack? it’s a shame that even administration is scared of these people. Of course the hyenas will not go after the drug mafia, the gangsters and the prostitution rackets in the city. You needs guts for that because there your opponent has a gun in his hand. It is much easy to harass common citizens. The hyenas are hell bent on naming all the trees, lakes, bushes after the dead departed tiger. Even the death of a rogue mouse was attributed to him. Are they? I will not be surprised even if they rename Mumbai or Maharashtra. The mouse died because of him? I have heard rumours that the mouse had dengue, hence the swift removal. the mouse was certified to be in good health amit- the secrecy surrounding its death is amusing. But coming back to this bed time story, I appreciate how you have superbly worded the whole thing. I am glad the rabbits did find support but it also saddens me that they did not hold their ground . Guess a night in a small cage punctures and wounds the soul. BUt in the end there is a dissent,a small but sure retaliation and that will bring peace back to the jungle- or will it ? Yes, It happened so suddenly that it left open a door for a lot of speculation. Priya, I think anyone who is just leading a normal life chatting on Facebook will be scared to death if he finds himself in a jail. So, the fact that the girls were terrified was understandable. I hope necessary action is taken to make sure this does not happen again. Funnily, they might suspend the police officers but no one is talking about the magistrate who signed the arrest warrent. He could have easily stopped it. I just wish the ending is the same as the ending you have mentioned! I have read it and re-read it and it makes me get goosebumps all over. This is so beautifully written. I guess I will have to wait for the second part. I saw an animated movie right here right now! Brilliant ! *Slow claps*.. Excellent one.. Loved this one a lot… Atleast everyone took the side of those rabbits…. Thanks Harikrishna. Yes, it was great. For once, the reality coincided with the story. You deserve a standing ovation for this post! I loved the analogy. 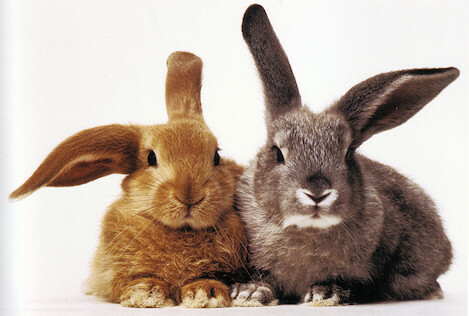 I wish more animals indeed joined the rabbits! Also, in response to the unjustified arrest and detention of the two girls under Section 66A of the IT Act, a PIL has been admitted in the Supreme Court. We can just hope that the Section gets amended as it can have some draconian actions being taken in the name of internet security by the administration. I don’t think Mr. Sibal is in a mood to completely scrap the Section and he has made that very clear. I think making the act very precise on what comes under its ambit will be a first step in the right direction.